Discussion in 'Itza Gallery of Fine Arts' started by The Red Devil, Aug 24, 2013. 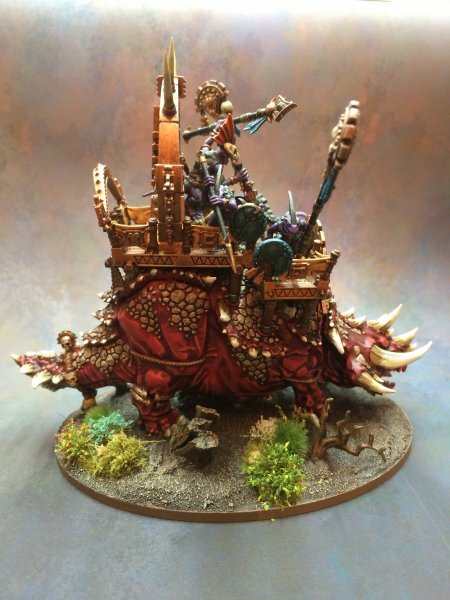 Showcase your Stegadon model here! 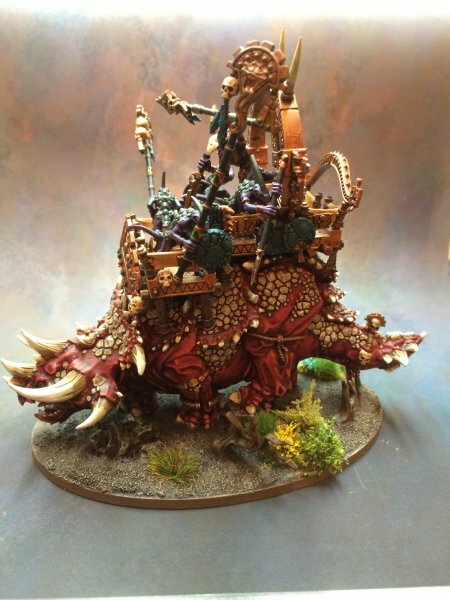 Please don't exclude your Ancient Stegadon, the more the merrier! 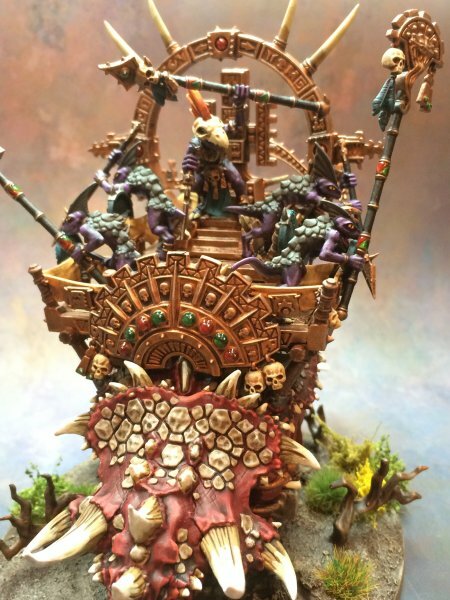 Please only post images of completed models. In the event you have a WIP thread on the model, please post the link to it as well. Note: If you want to post a WIP (Work In Progress) image, please start a thread in the main forum for this and then post an image here when you have completed the model. Warden, Bracnos, SlanntaClause and 3 others like this. @ Hado76: That is very nice Stegadon you have there. Warden, Chicken Lips, NIGHTBRINGER and 1 other person like this. Warden, n810, Scalenex and 1 other person like this. Warden, n810, NIGHTBRINGER and 1 other person like this. I have no idea why it has come through on its side- sorry. Warden, Chicken Lips, Bracnos and 3 others like this. 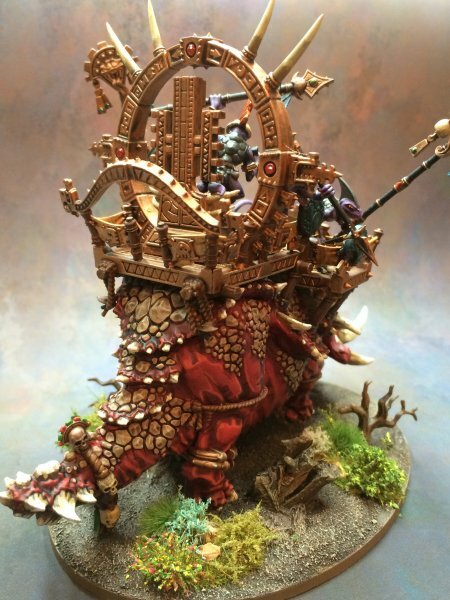 My Ancient Stegadon! 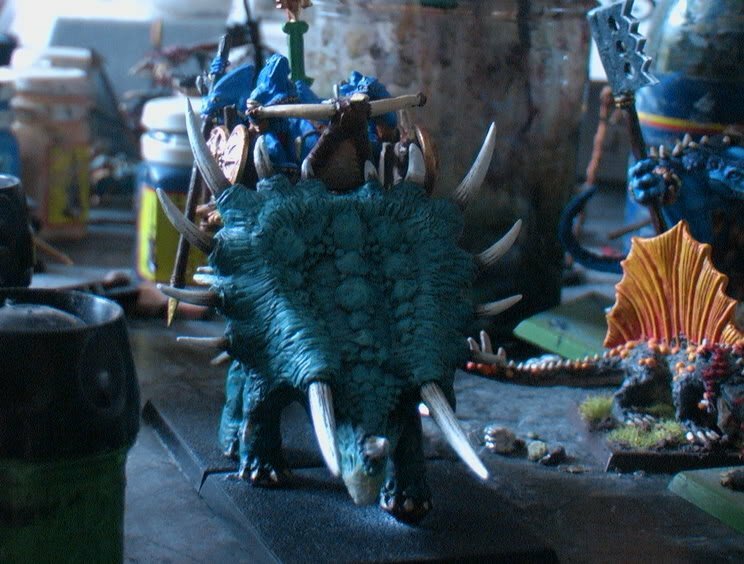 Complete with blowpipes, speckled skin, and a Skink Chief/Tank Commander that I'm rather proud of. Apologies for not being the best pictures they could be - can't see the contrast on the blowpipes, etc. Warden, Bracnos, Scalenex and 2 others like this. Warden, Bracnos, Scalenex and 1 other person like this. Warden, SlanntaClause, Jamie Searle and 6 others like this. Warden, Bracnos, Lord_Itzi-Bitzi and 2 others like this. My ancient stegadon, made up from bits from the old metal model! dont drop this on your foot, or you will be severely injured . Didymus, Warden, Jorgik and 8 others like this. What is that skink doing on the lower level, back right corner? one foot touching air? Hopefully by posting some of these old attempts of mine, I MAY actually get round to painting and posting again. Crowsfoot, Warden, SlanntaClause and 4 others like this. Warden, ASSASSIN_NR_1, n810 and 1 other person like this. Imrahil, Lezlor, Warden and 8 others like this. Lezlor, zastiu, Warden and 3 others like this.